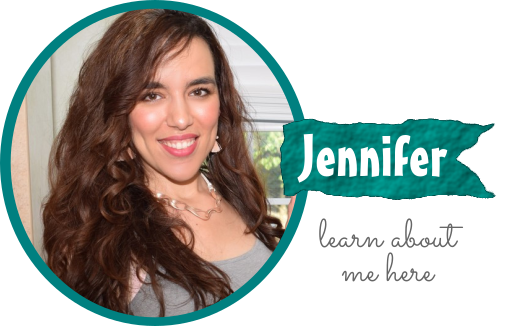 With the cooler months right around the corner, it’s time to transition from summer to fall. I’m adding harvest-inspired accents throughout my home, I’m raking tons & tons of leaves on the weekend, and I’m trading in my iced coffee for a hot mug of my favorite blend, Dunkin’ Donuts® Original Blend Ground Coffee. 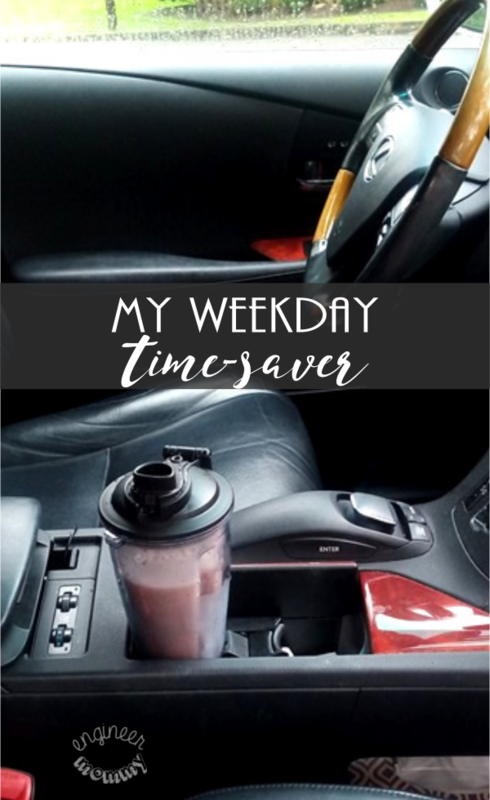 After all, this coffee gives me the boost I need to get going & keep going every single day. 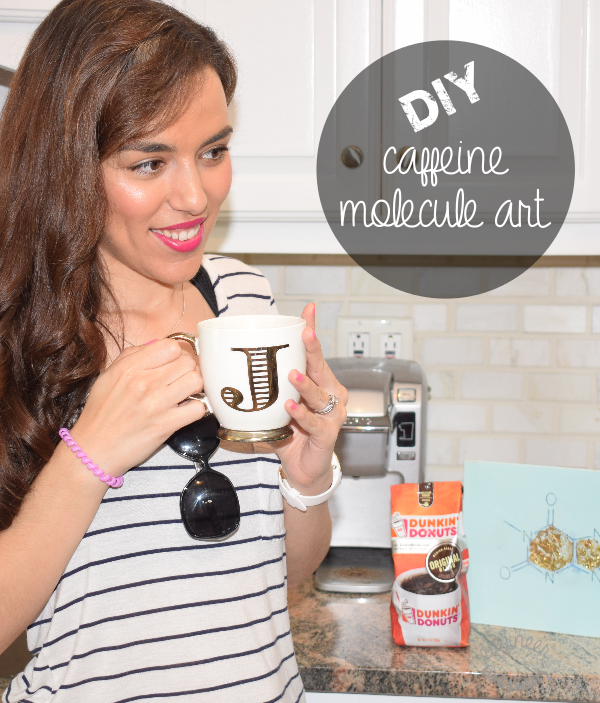 Today I’ll be sharing a fun DIY project that showcases how to make a piece of art that features the molecular structure of caffeine! Sipping my cup of coffee is just as much part of my morning routine as brushing teeth or getting dressed. That’s why I decided to make a special coffee station sign that celebrates the very essence of coffee that keeps many of us going each day- caffeine! 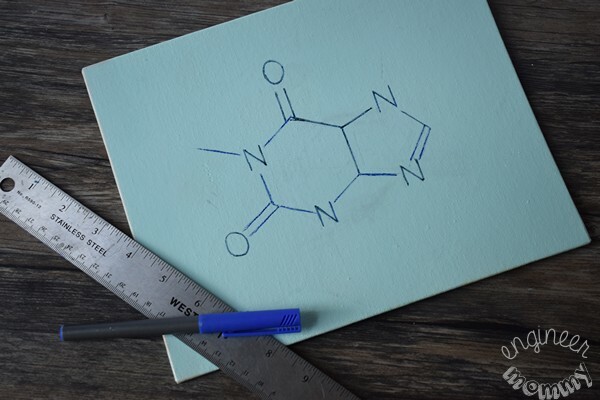 As a chemical engineer, I appreciate the molecular structure of everyday items like caffeine. So this project holds a special place in my heart! The letter N’s represent atoms of nitrogen. The letter O’s represent atoms of oxygen. The single lines represent single bonds, while the double lines represent double bonds. The intersection of lines represent atoms of carbon, along with varying atoms of hydrogen. On the back of the paper, use a pencil to shade in the back of the structure. Then turn the paper with the printed side up and place on the canvas in the right spot. 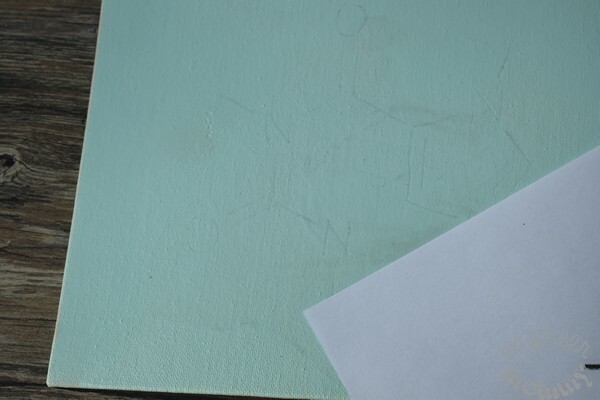 I painted my canvas a light blue (I love blue) but you could leave it white. Trace the outline of the structure. 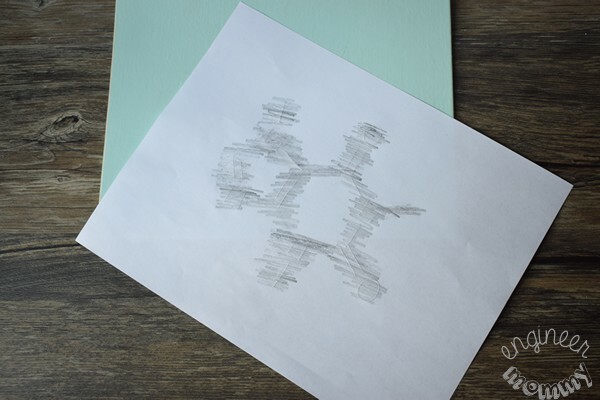 Once you remove the paper, you will see faint lines of the molecular form. Using a ruler and pen, go over the lines to darken them a bit. 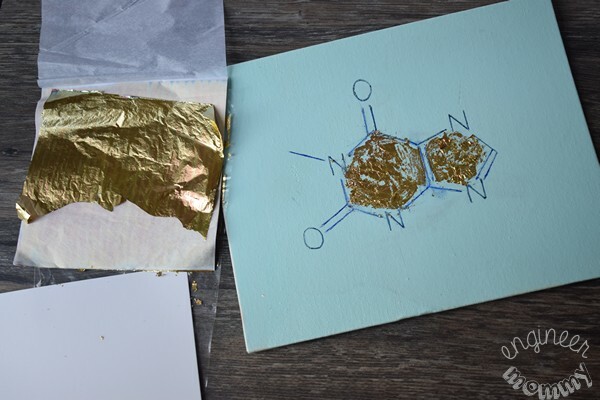 Using a glue stick and some gold leaf sheets, add some gold to the center of the atoms. A little gold pizzazz goes a long way for extra glamour! This art adds a cute decorative touch to my coffee station. And it’s definitely a conversation starter! People always seem to ask about it! 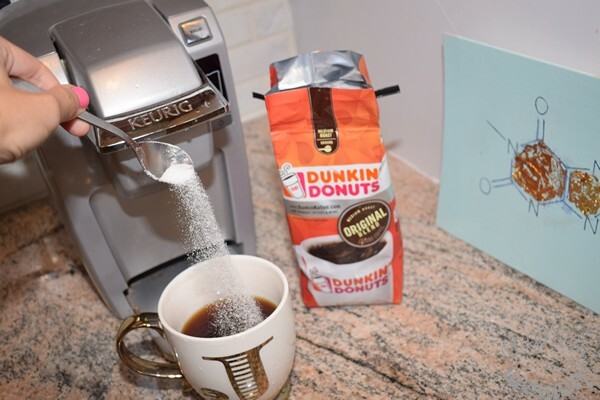 Speaking of caffeine and coffee, I have been loving Dunkin’ Donuts® Original Blend Ground Coffee for years. This classic coffee represents everything I love about coffee in one tasty roast! The coffee is smooth, flavorful and offers a signature taste in every cup. I love to add some sugar to my coffee for a little extra sweetness. Oh, and I also put cocoa powder & cinnamon in little glass jars, along with a big glass container of sugar in my coffee station. These really let me customize my cup every morning. 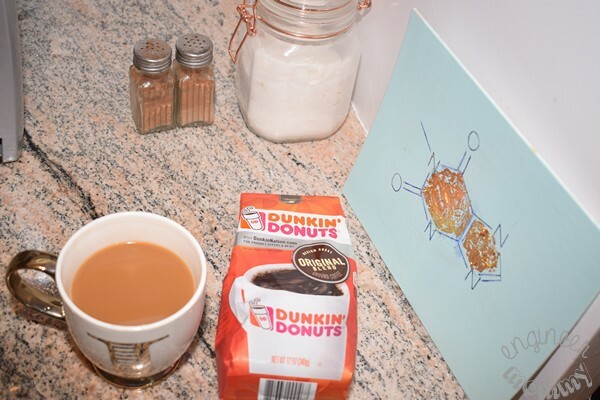 Want to try Dunkin’ Donuts® Original Blend Ground Coffee? Pick up a bag for yourself. Skip the fuss and the frills – enjoy coffee the way it was meant to be! 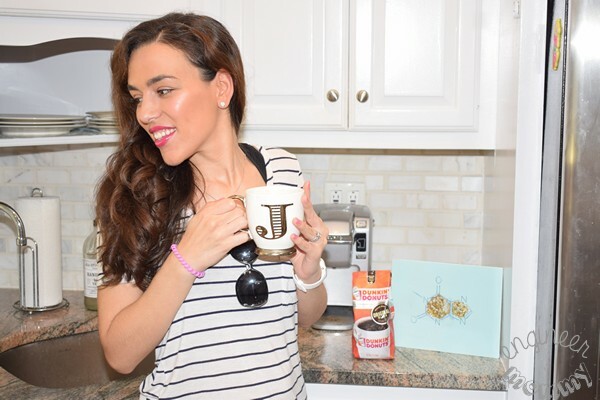 See how Dunkin’ Donuts® coffee will empower you to have the very best start to your day! 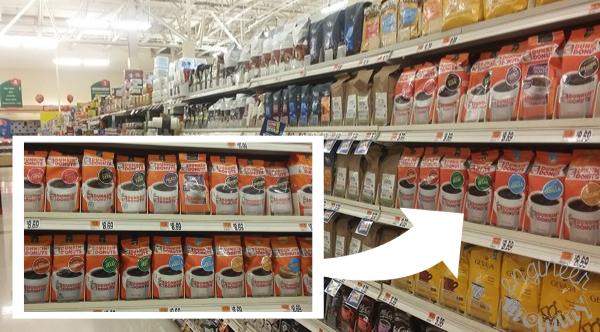 Look for Dunkin’ Donuts® Original Blend Ground Coffee at your local Stop & Shop. Oh, and take advantage of this special offer at Stop & Shop, where you can save $1.25 on any Dunkin’ Donuts® Coffee Product starting 9/16. 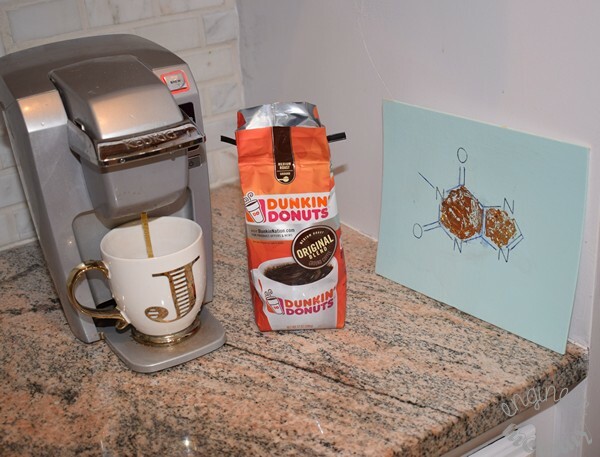 Pick up Dunkin’ Donuts® Original Blend Ground Coffee for your own home. 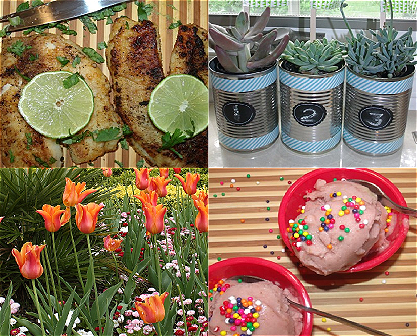 Have you ever made your own DIY Art? 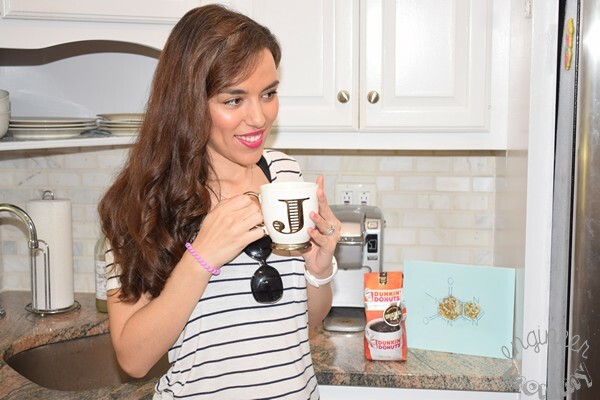 Do you also enjoy the rich, flavorful taste of Dunkin’ Donuts® Original Blend Ground Coffee? That is a super cute idea. I could not live without my morning coffee and it’s always Dunks! What a unique work of art! It’s such a great idea and your instructions are so helpful. My morning always starts with a good cup of coffee. This is such a fun idea! I just love the smell of coffee but I never got a taste for it. My mom loves her coffee though and I think she drinks this. Your coffee cup is very cute and it would be fun to make ones own personalize mugs. We aren’t coffee drinkers but sure those that are would enjoy this brand. My husband likes this coffee the best. I like them all! Haha! Your artwork is cute, too! This is such a fun idea for coffee bar decor. I definitely need my caffeine in the morning. This is such a fun idea, I need to do this with my kids! Haha I most definitely need this for my kitchen wall – I think most days I run only on caffeine! Keeps me running. Oh the cocoa powder and cinnamon is a great idea. I will have to try that! My kids are the creative ones in the family but I love you what you did. I love this cute idea. Can’t hardly wait to create this for our coffee station. Both, my hubby and I love coffee. I am addicted! I love the way your artwork turned out. This is such a great idea to add a little contrast to my coffee/tea area. That is such a cute idea! I have a mobile coffee cart that I could decorate it with! You have a really great idea there! Doing molecules is a cool house theme idea! I love their Dunkin Donuts coffee! I like to buy a bag for my guest room coffee maker too! 😉 I still, even in the winter time drink my coffee cold. I was looking a new coffee brand. I will try Dunkin’ Donuts® Original Blend Ground Coffee, it seems to be exactly what I was looking for. Having fun while enjoying a cup of coffee is so relaxing! That looks great! It’s definitely an eye-catching artwork. Makes people wonder what it means, a conversation starter indeed. Ohh, what a cool idea. 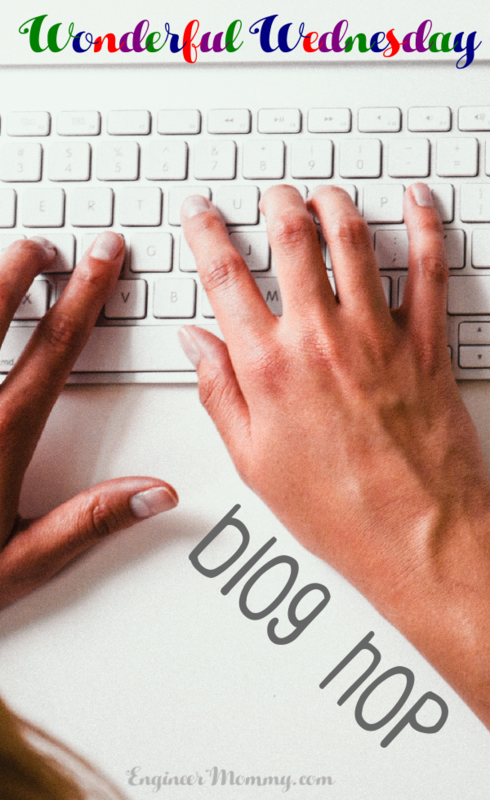 I never thought of doing this but reading this post makes me consider making this one as well. Yay! If only I liked crafting, haha. YES to that first cup of coffee! No way to cope without. What a fun idea! 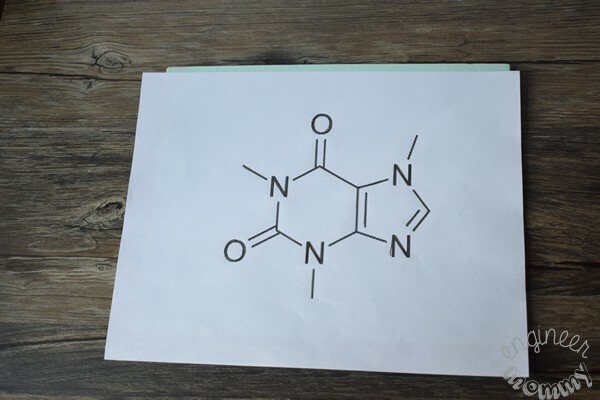 I love the look of the caffeine molecule. I have a necklace of it!